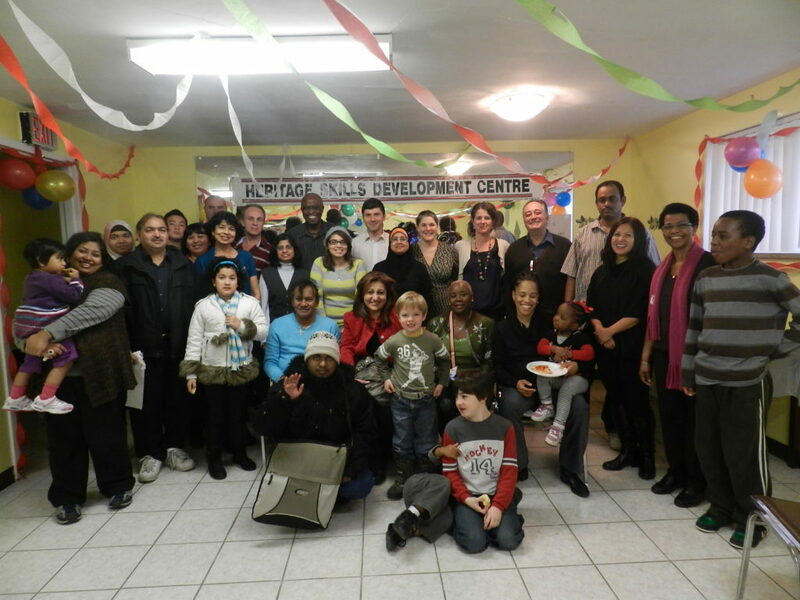 HSDC is a non-profit organization established by a concerned group of women who observed a gap in the integration services available to immigrants and visible minorities in the Greater Toronto Area (GTA) in 1993 and incorporated in 1995. Our mission is to improve the health, social, cultural, economic self-sufficiency and well-being of refugees, new immigrants, at-risk children and youth, women and other marginalized individuals through integrative and empowering programs and services. HSDC is a grassroots agency with a vision to impact positively on the lives in our community. HSDC assists families in building stronger foundations through integrative and empowerment programs and services. With more than 25 years in working with diverse communities, HSDC understands the issues that often hinder or delay the abilities of new immigrants to become self-sufficient. We understand cultural diversity and provide our services within the cultural-competency framework. Our staff and volunteers are of diverse cultural and linguistic backgrounds allowing us to effectively serve our clientele. To assist clients in becoming active contributors to, and beneficiaries of, the Canadian economy. To support newcomers and at-risk individuals through integrative programs, supportive counseling and referral services. To contribute to poverty reduction and self-sufficiency through capacity building programs, skills development training programs, self-employment creation and life skills development. To provide self-support mechanisms that further social integration for minority individuals. To realize our mandate, HSDC has developed various training programs and social support activities along with job placement opportunities for our volunteers, interns, and clients who participate in our programs. 80% of individuals who participate in one of HSDC’s programs and services succeed in securing employment or venturing into a business of their own. Heritage Skills Development Centre (HSDC) was established with the goal of Helping Families Build a Strong Foundation and our efforts are geared towards making this happen!